I typically do a review of each subscription box I receive, but the palette in this month’s Boxycharm is so good I thought it deserved a post of its own. (And if I combined it with the subscription box review, it would rival my master’s thesis in length.) So let’s talk about the Studio Makeup On the Go Palette, and the full September Boxycharm review will be up early next week. 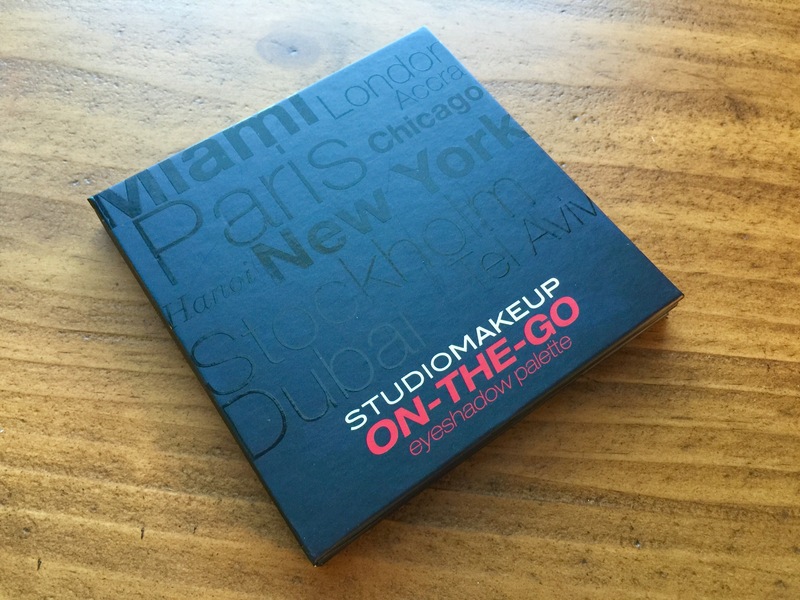 This month Boxycharm subscribers received the Studio Makeup On the Go Eyeshadow Palette. It is amazing. I’m still in disbelief that this came in a subscription box. It retails for $49.95 on http://www.studio-makeup.com. It is a neutral palette, but it is in no way boring as some neutral palettes can be. It is not just a lot of taupe. The shades are neither too cool nor too warm–it is just the perfect mixture of colors and finishes (5 mattes ranging from cream to black, and 4 shimmers ranging from cream to deep brown). This honestly might be one of the most thoughtfully put-together palettes I’ve ever seen. 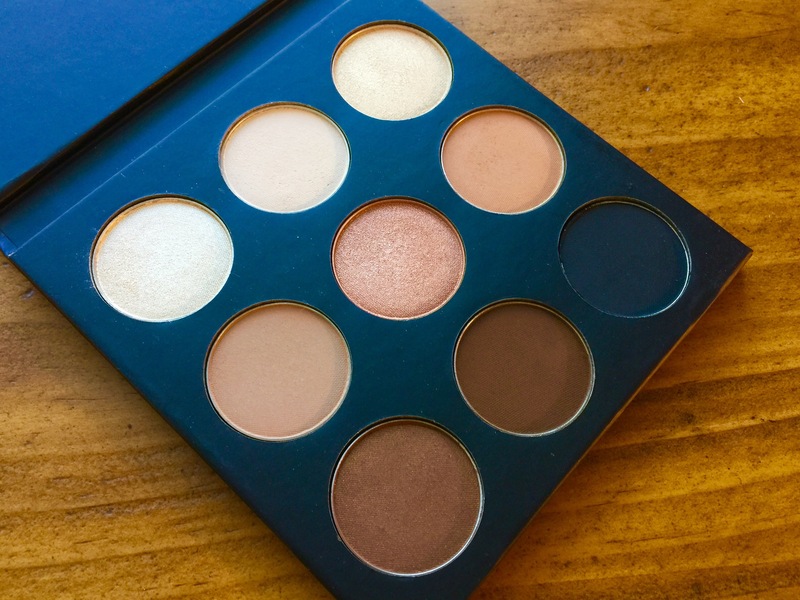 With 9 shades, even a beginner would not get overwhelmed as they might with some larger palettes. Yet there are enough shades to offer multiple looks on any skin tone. Whether your skin tone is very pale, very deep, or anywhere in between, there are at least 1-2 highlight shades, 2-3 transition or crease shades, 3-4 lid colors, and 1-2 shades to use as liner or to deepen the outer corners. And these numbers only include “everyday” makeup looks–if you wanted to go for a smoky or grunge look and wear the darker shades on your lid, there is even more versatility. As you can see, the pigmentation is excellent and consistent. The formula is creamy and soft but does not kick up too much powder of have much fallout. (Now that I think about it, I don’t think I’ve even I’ve had to wipe away fallout once this week!) And that shade selection–I just cannot get over it! The coppery-rosy shade in the center is absolutely stunning, and the wear time exceeds most of my other shadows in any price range. Even the shimmers, which in other palettes often fade as the day goes on, are still going strong at the end of the day. If they’ve faded at all, it’s pretty minimal. Now, if you are not subscribed to Boxycharm, is it worth the $50 price tag? I think the answer to this really depends on your budget and patterns of makeup use. If you are not someone who loves eyeshadows (I’m told that these people exist and walk among us) but you like high end makeup, then yes, this might be worth it since you’ll use it almost every day. The versatility of this palette–for any skin tone–is outstanding, and the pigmentation and consistency of the shadows are unmatched by almost any palette in my collection, drugstore or high end. If you are more like me, someone who collects (some might call it hoards) eyeshadow palettes, then you may want to think about it a bit more. Would you use it enough to make it worth the $50? Or are you more excited by new things and after a week or two it would get buried in a drawer? If I’m honest with myself, I often fall in the latter category, another reason why I’m less likely to buy high end unless I’ve given the product a lot of consideration. Then again, this palette might surprise you. I’ve used it five days in a row, and I’m still excited to pull it out every morning. This is unheard of in my world; I rarely use a palette two days in a row, much less all week! But this one keeps drawing me in. In the end, I do think the palette is worth it. It has quickly become one of my favorites: I’d say it’s easily in my top 5 due to its formula, pigmentation, consistency, versatility, and wear time. Its compact construction makes it easy for travel, or just to tuck in your bag if you have a long day and need to transition from day-to-night makeup. 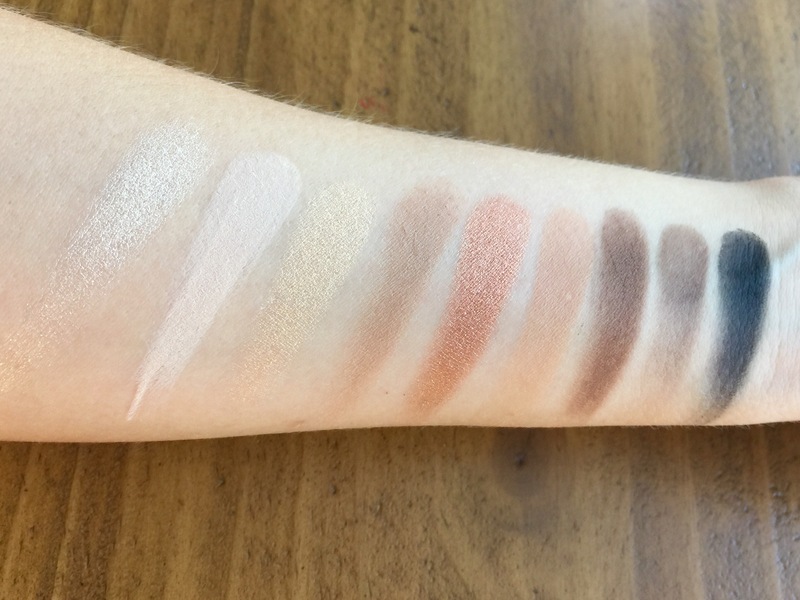 I highly recommend it, especially if you’re in need of a good neutral but interesting palette. If you’re subscribed to Boxycharm, or if you already own this palette, I’d love to hear your thoughts! I’ll see you back here next week for the full subscription box review! Thank you! That’s a great idea! Once I settle on my favorite looks I’ll do that! I love this palette! I did a fall halo eye with it, if you want to browse my blog and check that post out. Can’t wait to see what looks you cook up with it! Just checked it out–love it! I’ve been trying out halo eye techniques so I love how you used this palette!